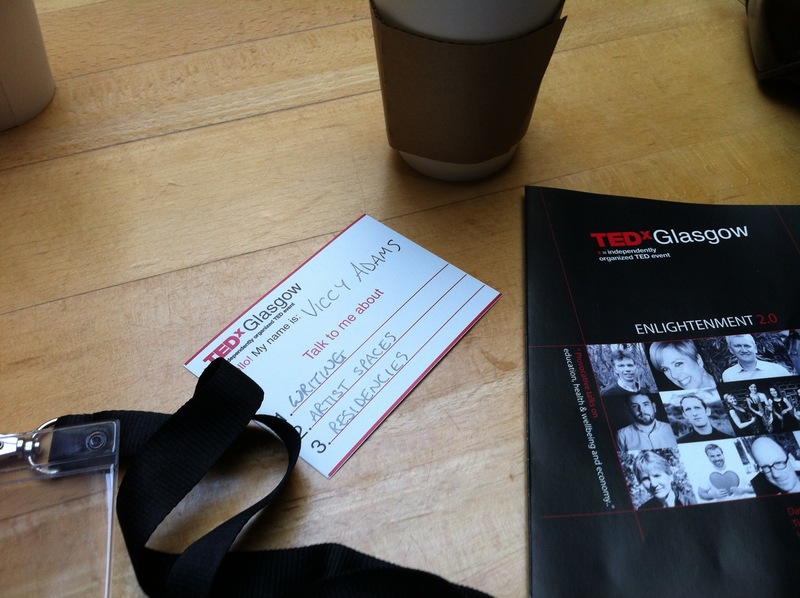 Courtesy of Informatics Ventures – one of the sponsors of this inaugural TEDxGlasgow event – I spent Sunday over in Weegieland, listening to a variety of thought provoking speakers telling us in the audience about their ‘idea worth sharing’. The day as a whole was themed Enlightenment 2.0, and split into three sections: Education, Health & Wellbeing, Enlightened Economy. Run as a magazine format (short ‘briefing’ presentations, no Q&A: audience encouraged to talk to the speakers during the breaks), the event was held at the attractively bohemian Glasgow CCA for a full capacity audience of about 80-100 people. For those of you not already familiar with the concept of TED talks, they run under the banner of ‘riveting talks by remarkable people, free to the world’. Originally a Technology, Entertainment and Design conference in the mid eighties, TED has become a repository of video talks (each lasting 18 minutes or less) which demonstrate inspiration, curiousity, engagement and belief in people and global issues. TEDx events are fully planned and coordinated independently, using the brand and the spirit of TED to stimulate dialogue on a local level. 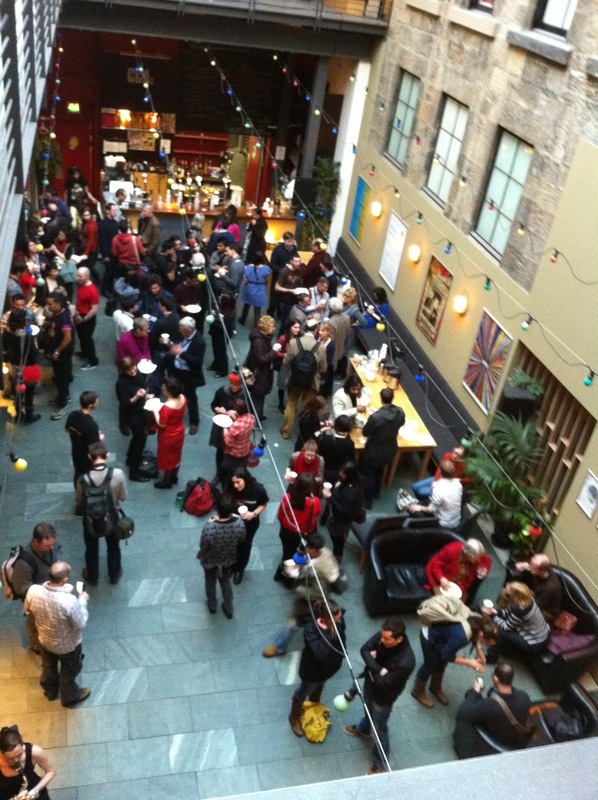 I noticed video cameras at the event, so presumably the Glasgow talks will be available online at some point. All the speakers spoke passionately, everything ran smoothly and to time. I came away with both a head and a notebook full of ideas and questions, and it was particularly good to have heard from people who were out there turning their ideas into actions rather than simply raising issues to be debated conceptually. As a literature fan – both as a reader and as a writer – I was particularly pleased that so many of the speakers used literary quotes to illustrate their points, proving that the arts can speak to serious issues in ways that cannot be covered by factual statements. Ken Robinson quoted Keats, Donald Clark quoted both Graham Greene and Douglas Adams, Murray Watts (himself a playwright) quoted Solzhenitsyn. Jane Ballantine took us through a potted history of the importance of reading and writing in education, from Socrates to the future, and Raghava KK highlighted the importance of teaching creativity in order to develop empathy. It was also interesting to see a musical group (Sax Ecosse with ‘a musical portrait of a conversation’) being included as a presentation as well as entertainment during one of the breaks: original creative work is usually sidelined into the ‘nice round the edges’ category of entertainment rather than being allowed an active role in the debate. Almost all of the speakers emphasised the importance of regaining a sense of meaning, of finding purpose through connection, in a world where we value celebrity over achievement and ownership over access. The importance of multifaceted intimacy; intergenerational dialogues, physical connection with the food we eat and the land that produces it, the difference between an image on a website and a real-life experience. How one human being can make a difference. There was an identification of a need for an extra dimension beyond the material, for a revaluation of ‘what really matters’. Shifting the core values of society was the intended outcome of the majority of the projects, and each speaker presented a more or less practical ideology of how they saw that happen, in their sphere of interest and expertise. Joe Tree from Blipfoto raised a point of the need for responsibility and selection in our own lives, in order for the great mass of content being produced – and permanently stored on the internet – to also be considered, indexed and archived in a meaningful way for future generations. On the train back to Edinburgh I was trying to work out filming logistics for the Puffersphere play/monologues, and having logistical issues with it. Finally, at two in the morning, I woke up with one of those ‘breakthrough’ moments of a scalable, exciting way round the issue. Fantastic way to end/start a week. My mother and I have an ongoing joke that is she gets to be what she calls a ‘burden’ – especially as a result of the loss of her mental faculties – then I am going to take immediate steps, that I am required to respond directly and without hesitation. ‘Take a shotgun, darling,’ she always raises her eyebrows and looks off to one side at this pint, usually pursing her lips against the bitter taste of her Nicorette inhaler. ‘Take me by the arm and lead me down to the end of the lower field. Then -’ she points her fingers to the side of her own head and clicks her tongue. As ever a fascinating account. Great that people use literary quotes, so glad you had an epiphany about the puffersphere. Still find it strange that we need to “teach” creativity. Sad that school systems seem to drain our natural ability? I think it’s because of the need to assess & mark everything in such a rigid way in the school system, which leads to anxiety around how creative outputs/processes can be marked. Especially at secondary level. Creativity values experimentation and that contains a valued view of failure, which can’t be marked on an ‘A/B/C/D/E’ scale. Real shame.